The following is a copyrighted chapter from the book “Samurai Swordsmanship: The Batto, Kenjutsu and Tameshigiri of Eishin Ryu” by Masayuki Shimabukuro & Carl E. Long. Permission to copy or reproduce any of this material is allowed only by the expressed permission from the authors or publisher. Today practitioners of Iaijutsu practice the 450-year-old art of Japanese swordsmanship to develop their kokoro (minds and hearts) as well as their fighting skills. The emphasis has evolved and adapted throughout the history of Japanese fencing. The modern emphasis of battojutsu and iaijutsu is better understood by examining its history and development over four and a half centuries of development, from its dark inception, to its present-day form. Legend accords Hayshizaki Jinsuke Shigenobu with having lived near the end of the Muramachi period. He is reported to have lived between the years of 1546-1621 although the actual dates of his birth and death remain somewhat of a mystery. His place of birth was in northeastern Japan in Tateoka Oshu, now known as Murayama-Shi in Yamagata-Ken. At the age of fourteen, following the death of his father he made his way to Hayashizaki village in Oshu. It is said that here he secluded himself in the Tenshinsho Hayashizaki Myojin Shrine for nearly one hundred days and prayed to the kami (spirit) Hayashi Myojin for divine inspiration. On one such occasion he received what he understood to be the inspiration for a new method of sword techniques that he referred to as Muso-Ken (Dream Sword). 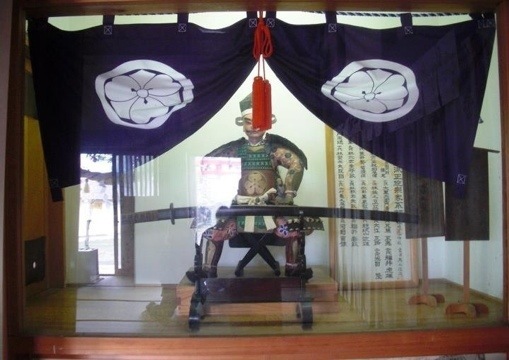 Records of the time indicate that the old man of the shrine imparted the inspiration for using a sword with a long hilt and drawing it from the scabbard in a fashion that allowed it to cut ones opponent in a single action. Even though the techniques of drawing a sword and cutting had been practiced in other sword schools prior to Hayashizaki Jinsuke Shigenobu’s enlightenment, he and his students are credited as having formulated the art on a greater scale than any of his predecessors. It is for this reason that he is considered the founder of the art of batto-jutsu or iai-jutsu.Hayashizaki Jinsuke resided for many of his years in the town of Bushu. He was claimed to have been a devout believer in the Shinto religion, offering prayers and practicing austere Shinto rituals at the local Bushu shrine. It is here that he cultivated his fighting style and taught members of his family his newly formed sword art he called Hayashizaki Shinmei Muso Ryu. His fighting style included the use of both a long sword, tachi, that measured 3.3 shaku (39.37 inches) as well as a shorter sword of 9.5 sun (11.34 inches). His reputation quickly spread and he attracted many kenjutsu students who wished to advance their own skills and reputations. Many famous swordsmen adopted his methods and formed their own unique styles of combat. These students in turn continued to teach Shinmei Muso Ryu as well as developing their own unique styles. In 1616, at approximately the age of 69 and having passed his sword methods on to a great many students, Hayashizaki Jinsuke set out on a four year Musha Shugyo (austere travel and training pilgrimage). He never returned from this journey and in 1621 following his death he was enshrined in Hayashizaki Myojin shrine. This shrine is still located approximately one mile north of Tateoka station on the Hayashizaki Ou train line in the city of Murayama, in Yamagata prefecture. Among the many students of Hayashizaki were Katayama Hoki no Kami Fujiwara no Hisayasu, the founder of Hoki-Ryu, Sekiguchi Hachiroemon Jushin, the founder of Sekiguchi-Ryu, and Takamatsu Nobukatsu, founder of Ichinomiya-Ryu. Each of these men went on to propagate their own sword style based on the original teachings of Hayashizaki Jinsuke. But it is the authors’ lineage from Hayashizaki that we shall follow in this book. This lineage was passed on by another of Hayashizaki Jinsuke’s students, Tamiya Heibei Narimasa. In the late 1500’s, Tamiya Heibei, was born in Iwamurata, Joshu, modern day Gumma in the Kanto region of Japan. His full name was Tamiya Taira no Hyoe Narimasa and he later changed it to Tsushima. He became a student of Hayashizaki Jinsuke after having studied Shinmei Muso To-Ryu kenjutsu under Toshimotsuke no Kami Moriharu. But it was under the guidance of Hayashizaki Jinsuke that he mastered the true essence of Shin Muso Hayashizaki Ryu, drawing and cutting in a single action. Ancient records indicate that his swordsmanship reached divine levels and that he most likely was equal to the founder in his skills and ability. Tamiya founded the Tamiya-Ryu style of battojutsu. His students would go on to establish a wide range of kenjutsu and battojutsu methods. Nagano Muraku Kinrosai was the third inheritor in the line of teaching of Hayashizaki Shinmei Muso Ryu. He was also a direct disciple of Tamiya Hebei Shigemasa. Very little is known about his youth other than that in his childhood years he was known as Jurozaemon. 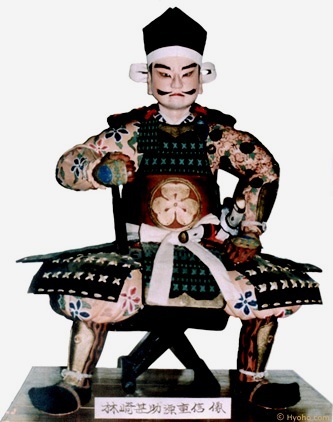 His family came from the family of Shinano no Kami, the samurai of Minowa castle in Joshu (now Gumma Prefecture). In the service of the Shinano family he rose to the rank of General. In 1542 the Shinano clan fell to the siege of the forces of Takeda Shingen in a war that lasted for four years. Following the disbandment of the Shinano by Takeda, Muraku traveled about perfecting his skills and seeking employment. Eventually he served as a samurai for Naomasa Ii, the daimyo of Hikone (Shiga Prefecture). While serving Naomasa Ii, he received wages of 500 koku of rice per year. It is rumored that Muraku may have traveled to the Northern provinces, where he met Hayashizaki Jinsuke, with whom he studied fencing. Although he may have first taken Hayashizaki as his teacher, more likely, he seems to have been extensively educated by his senior, Tamiya Heibei Shigemasa. It was reported that he died in Hikone, at the age of ninety. Though his skills were great he did not delegate any single individual to pass on the line of Hayshizaki Jinsuke. Instead, as was the custom, he passed along the broad amount of knowledge he had accumulated to several of his students that formed their own lines of transmission. Many of these schools continue to flourish today. The lines of transmission of Nagano Muraku branched in several directions. He was credited with his own family style of Muraku Ryu as well as passing on the Shin Muso Hayashizaki Ryu of Hayashizaki Jinsuke. The student that passed on his Muraku-Ryu was primarily Kamiizumi Magojiro Yoshitane. It is his line that inherited the Muraku Ryu and passed it down to the current soke. In the late 20th century the Muraku-Ryu was led by Sasamori Junzo (1886-1976), former member of the House of Peers (the upper house of Japan’s parliament). Among his many accomplishments was becoming the soke of Muraku-ryu, Shin Muso Hayshizaki Ryu, Onno-Ha Itto-Ryu and Chokugen-Ryu naginatajutsu. Sasamori Junzo was an avowed pacifist who devoted his life in an attempt to give the art of fencing an educational role and that of spiritual development of the individual. He passed the lineage of all four koryu to his son Sasamori Takemi. Momo Gumbei Mitsushige, was the last direct student in the line of Nagano Muraku Nyudo Kinrosai and he continued Hayashizaki’s sword school through another line of teaching. Momo Gunbei Mitsushige was the last student of Nagano Muraku Nyudo Kinrosai to receive full transmission of his art. Little is known about his life other than that he passed the teachings of Shin Muso Hayashizaki Ryu on to a fifth generation of sword masters. It is known that Arikawa served as a vassal of Toyotomi Hideyoshi (1536-1598) and there is not much else known about him. The records of the ninth headmaster are the first indication of his contribution to Hayashizaki’s line in the historical record. Banno Danemon taught Hayashizaki’s sword drawing method in Edo, modern day Tokyo. He is often regarded as having the most important influence on the subsequent headmaster. It was during this time in Japan that the most significant development in the history of Iaijutsu occurred. Along with the introduction of firearms into Japan by the Portuguese, the end of the Sengoku Jidai or warring states period brought about a significant change in sword design. The Tokugawa government issued an edict that legislated the length and use of swords. Sword blades were made shorter and the deep curvature of the Tachi was straightened. As the evolution of these swords continued, the methods of wearing and utilizing them evolved as well. The new fashion of wearing the sword thrust through the obi (belt) with the cutting edge facing upward created a need for improved sword drawing methods. This change in the drawing method would take place at the hands of Banno’s student, the seventh generation successor to Hayashizaki’s legacy. Hasegawa Chikaranosuke Eishin Hidenobu was born on the island of Shikoku, in Tosa Han and became the 7th generation headmaster in 1610. Hasegawa Eishin may have influenced the style more than any other man. He inherited the leadership of Hayashizaki Shinmei Muso Ryu from his teacher, Banno Danuemon no Jo Nobusada, and made an astonishing change in its form. The samurai of this era had adopted the style of wearing the sword thrust through the belt with the edge turned upward rather than downward as was the custom during the Sengoku Jidai. Eishin knew his sword art must be adapted to accommodate this new style and developed what was to become known as the Eishin-Ryu method of Iaijutsu. He incorporated these drawing methods into the older forms and developed a set of waza done from Tatehiza, a half seated posture. His methods and innovations of drawing the sword have survived to the present day as the Hasegawa Eishin Ryu Tatehiza no Bu. Eishin was born in Tosa Han and later moved to Edo (Tokyo) to seek employment. He was employed by the daimyo of Oshu as a tax collector and received an annual stipend of 1000 koku of rice. There is unfortunately no precise information telling about how Eishin spent his childhood and youth, nor the nature of his possible education in the field of martial arts. However he is believed to have possibly been a headmaster of the Jikiden Ryu. This ryu was reportedly conceived in 1250 by the monk Onkeibo Chochen, who founded the style through Tenshin Sho or divine inspiration. We do not know exactly when the school was created as there are a number of ambiguities that complicate its history and unfortunately today Jikiden Ryu no longer exists. The knowledge of its curriculum is based entirely on fragmentary and often unreliable information. Whether Eishin had anything directly to do with the Jikiden Ryu or not, he was undoubtedly influenced by the older sword school. Later in his life, Hasegawa Eishin returned to Tosa Han (Kochi Prefecture) and continued to teach his form of Hayashizaki’s Iai. His students often referred to his style as Muso Jikiden Hidenobu Ryu, Hasegawa-Eishin Ryu, Eishin Ryu, Jikiden Eishin Ryu, Hasegawa Ryu and Hidenobu Ryu. The teaching of Jikiden Eishin Ryu is said to have became widespread in Tosa Han (Kochi prefecture) where he born. Regardless of whether this is true or not, his method of drawing the sword was an extremely important part of training the warriors of Tosa. His influence on their sword skills contributed greatly in the creation of new policies in their country. Hasegawa Eishin and the previous six headmasters of the style lived concurrently. Most of them had trained directly with Hayashizaki Jinsuke at some point during their development, either directly or as subordinates of their teachers. They were influenced by the teaching of Hayashizaki Jinsuke and practiced various methods of swordsmanship in addition to the techniques of Hayashizaki’s Shinmei Muso Ryu. Each of these men collectively contributed to the development of Shinmei Muso Ryu, up to and including the seventh headmaster. After the death of Hasegawa Eishin, the ryu can be traced linearly through the next thirteen generations. The tradition of awarding menkyo kaiden remained the same throughout history; that is to say that each man that received the Kongen no Kan, scroll of transmission, was granted the authority to carry on its tradition, conduct the teaching and award the credentials to their students. During its inception Hayashizaki Shinmei Muso Ryu was never a family inherited or owned system as some may suggest. It is accidental that at a later time in its development a single family passed along the traditions for several generations as a matter of political convenience. Arai Seitetsu Kiyonobu was the 8th generation headmaster of the ryu. He taught in Edo (modern day Tokyo) after the departure of Eishin. He was thought to be a Ronin, a masterless samurai. Considered a bit unkempt, he nevertheless attracted students that were interested in Shinmei Muso Ryu or Hasegawa Eishin-Ryu. He is credited as having taught the samurai Omori Rokuzaemon after he was allowed to return to the Eishin-Ryu following his expulsion by Hasegawa Eishin. Hayashi Rokudayu Morimasa (1661-1732) a 9th generation headmaster was an important man of high rank who served the Tosa daimyo. Tosa samurai were stationed in the capital city of Edo and carried out various roles in the administration and affairs of state. Hayashi served under Yamanouchi Toyomasa, the Tosa daimyo while he resided in the Shoguns capital. As his quartermaster, he had a high ranking position and part of his duties included serving as a cook and pack horse driver for the daimyo himself. During this time Hayashi Rokudayu studied under the watchful eye of the seventh and eighth headmasters of the ryu. His sword studies were varied as he took instruction in the Shinkage Itto Ryu and Shinkage Ryu as well. He eventually succeeded Arai Seitetsu Kiyonobu as the leader of the Shinmei Muso Ryu. He consulted with and took instruction under Omori Rokurazaemon Masamitsu. Omori Rokuzaemon Masamitsu had been a student of Hasegawa Eishin and was at one time Hayashi Rokudayu’s senior while he studied with Eishin. Omori had been expelled from the Hayashizaki Shinmei Muso Ryu by the seventh headmaster of the ryu, Eishin. He had continued his study of sword techniques with the Yagyu Shinkage Ryu of Bishu. As a student of the Ogasawara Ryu etiquette he was greatly influenced by courtly manners. Ogasawara Reiho was a codified set of etiquette that became infused within the traditional tea ceremony that Omori studied. During the Edo period it became the standardized code for all of the other traditional Japanese arts. Omori joined these codified rituals with the Saya no Uchi Batto Gohan, a set of five sword drawing forms of the Yagyu Shinkage Ryu. Omori Rokuzaemon eventually developed eleven forms of sword drawing techniques that started from a seated posture and considered them an improvement for teaching etiquette and swordsmanship to samurai warriors. Omori introduced his set of forms to Hayashi Rokudayu. Hayashi incorporated the practice of ritualized courtesy into the training of the Shinmei Muso Ryu and the Hasegawa Eishin-Ryu. This development was quite possibly the turning point in the evolution of Iaijutsu from just a means of drawing the sword as a killing technique to what would eventually include aspects of a more philosophical pursuit. Hayashi called these forms the Omori Ryu Seiza no Bu. Hayashi Rokudayu is officially credited with introducing the Omori-Ryu to the iai-jutsu practitioners of Tosa Han. Later when he returned to Tosa these forms of practice, along with the Hayashizaki Shinmei Muso Ryu and Hasegawa Eishin Ryu, were incorporated into what was then known as Tosa Iai. They would continue to be practiced as an adjunct set of Tosa Iai techniques until the seventeenth headmaster incorporated them as a permanent part of the Eishin-Ryu curriculum. Hayashi Rokudayu wrote the first official historical record of the genealogy of the ryu. It was titled the “Hiden Sho” or secret book. His teaching methods were passed on by his family line for three generations. As high ranking retainers of the Tosa region the Hayashi family was very influential in the political struggles of the day. They dealt with the financial and commercial institutions within the prefecture and their network of contacts was broad. Their children married well and adopted sons to insure their legacies. 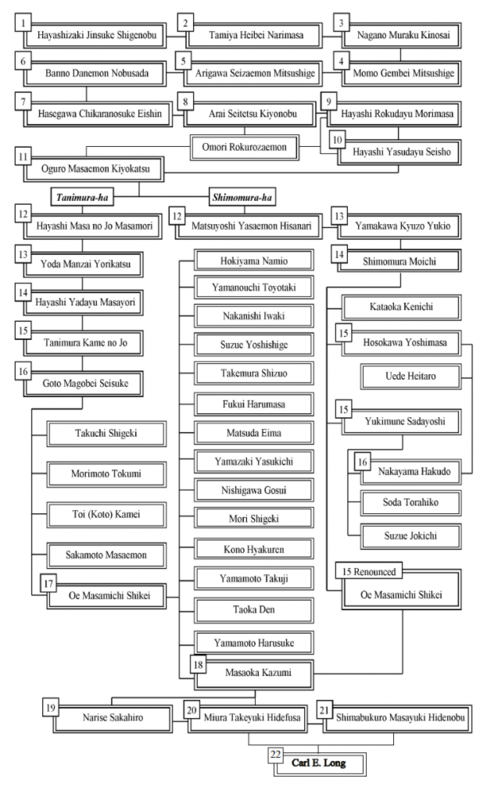 Hayashi Yasudaya Seisho was born into a samurai family that served the Tosa daimyo. He was the second son of Dogen Yasuda, a doctor of medicine in Tosa Han. Yasudayu was later adopted by Hayashi Rokudayu Morimasa and was the legal successor to his estate. He was also the second member of the Hayashi family to receive instruction as a student of Omori Masamitsu. His students were quite famous in their own right and disseminated Tosa Iai throughout the prefecture. His responsibility for the ryu was passed on to his son-in-law Oguro Motoemon Kiyokatsu who became the next headmaster. Oguro Motoemon Kiyokatsu (died 1790) was a student of Hayashi Yasudayu Seisho. Old civil documents state that Oguro Motoemon’s estate received 250 koku of rice per year. He became a headmaster of the ryu in 1742. Oguro was the third generation of Eishin Ryu leaders to receive instruction from Omori Masamitsu, although he must have been quite old by this time. 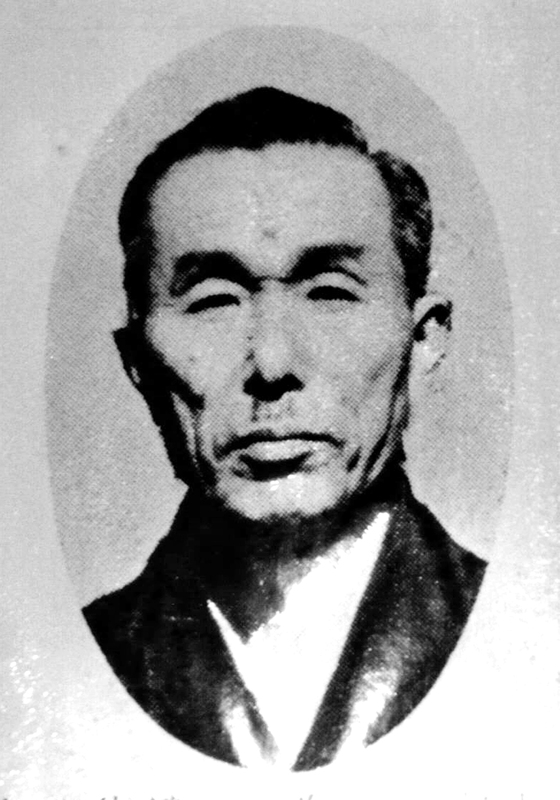 Omori’s influence over the headmasters of the Tosa Iai is undisputed. As retainers of the Shogun Tokugawa Ieyasu and in close proximity to Kyoto, the home of the Japanese emperor, Omori’s instruction in court etiquette became essential to the Tosa samurai. At the turn of the sixteenth century Japan was unified by Tokugawa Ieyasu. Tosa Han was politically torn apart as the victorious Tokugawa regime disassembled the Tosa forces that had opposed him. He replaced the ruling samurai of Tosa with those who had supported him during his campaign. Many of the disenfranchised samurai that had fought for the daimyo of Tosa against Tokugawa were forced to become Goshi, country samurai. This does not mean that the goshi were necessarily poor. Some maintained much of their family’s wealth and influence even after they had been reassigned. Both the goshi and the urban samurai continued to practice the Eishin-Ryu methods of swordsmanship. Urban samurai were given greater status and were legally able to cut down the goshi if they were to impugn his honor. Because this issue was considered as one of honor, it was not viewed as murder or even a crime. Privileges such as this caused a schism that led to political tensions between the two groups. Oguro Motoemon’s death brought about a fracture in loyalties between the Tosa goshi and their urban cousins over who should lead the ryu. Soon after Oguro’s death a faction of the ryu was led by Matsuyoshi Hisanari, a man who was often considered more “urban” than some of his colleagues. He was a contemporary of his teacher Oguro and due to his age he did not lead this branch for long. He died shortly after the death of Oguro. He was succeeded by Yamakawa Kyuzo Yukikatsu (12th gen.) and then Shimomura Moichi Sadamasa (13th gen.) after whom this divided branch was eventually named the Shimomura-Ha Eishin Ryu. The “goshi” faction was eventually led by the grand-son of Hayashi Rokudayu’s eldest son. He was named the head of this line nine years after the death of Oguro. This faction eventually became known as the Tanimura-Ha, named after the fifteenth headmaster. It is important to note that both branches of Tosa Iai, although somewhat revamped, have continued to be taught side by side in Tosa right up to the present day. Hayashi Masu no Jo Masanari (died c. 1818) became the 12th generation headmaster of Eishin Ryu of the Tanimura-Ha. As previously mentioned, this development took place roughly nine years after the eleventh headmaster had passed away. The ryu was in turmoil as many Tosa samurai did not agree on which of Oguro’s students they should recognize as the legitimate successor. This disagreement led to the two separate schools of Tosa Iai being taught. In 1799, the great-grandson of Hayashi Rokudayu, Hayashi Masa no Jo Masanari, was acknowledged as the twelfth headmaster of the Tanimura-Ha line of Tosa Iai. Yorita Manzo Yorikatsu (died 1809) was the 13th generation headmaster and little is known of his history. Even the date of his death is disputed as he would have passed away prior to Hayashi Masu no Jo Masamori. It is known that he came from a poor family and perhaps was one of the Goshi or country samurai. The fourteenth headmaster was once again a member of the Hayashi family. Hayashi Yadayu Seiki Masayori (Matsutaka) (died 1823) succeeded Yorita Manzo Yorikatsu. There has been speculation that he also studied with members of the Shimomura-Ha branch. The two schools were taught together in the Chidokan dojo in Tosa where Hayashi Yadayu eventually taught. Tanimura Kame no Jo Yorikatsu (Sugio) (died 1862) taught horse-riding, ba-jutsu, at the Chidokan dojo of Hayashi Yadayu Masayori. His influence was unique in that he also trained many of the aristocratic members of the Tosa samurai, undoubtedly he had close contact with members of the Shimomura-ha. He taught at both the Chidokan dojo and the prefectural hall in Tosa where many of the local dignitaries studied. Tanimura was recruited to teach the Tosa Iai to the Yamanouchi daimyo of Tosa. He awarded the menkyo kaiden to Yamanouchi Yodo, Kasume Hanji and Goto Magobei Seisuke. Goto was the headmaster of the Ryu during the Meiji restoration. His students served the emperor as fighting members of the Tosa forces during the tumultuous Japan restoration of 1867. They took part in a coup staged by the feudal lords of Tosa, Choshu and Satsuma to wrest power away from the Tokugawa Shogunate and restore power to the emperor in Kyoto. Following this successful rout, the Tosa provincial samurai leader, Itagaki Taisuke joined forces with Yamagata Aritomo of Choshu and Okuma Shigenobu of Hizen as administrators in reorganizing and rebuilding the Meiji Government. These men were advocates of a national education system. They abhorred the narrow educational doctrines of learning by intuition that grew out of the Tokugawa’s 200 year rule of the land. Goto Magobei Masasuke was swept up in the political charge of the day and with the help of his successor, he began the process of making significant changes in the way Eishin Ryu’s curriculum would be codified and taught. One of the most important headmasters of the Tosa Eishin-Ryu was the seventeenth, Oe Masamichi. Born in Tosa in 1852, in his youth Oe studied Kokuri-Ryu and Shinkage-Ryu kenjutsu, along with Shimomura-ha Eishin-ryu. At the age of 15 he took part in the four day battle of Toba-Fushimi and helped to end the Tokugawa Shogunate. Afterward he returned to Tosa and began his study of Tanimura-ha Eishin-ryu under Goto Magobei.Oe Masamichi lived at the time of the Meiji restoration while the haitorei (the ban on the wearing of the sword) was implemented. This edict created a painful obstacle to the continuation of iai. The Meiji government asked for his assistance in establishing a Dai Nihon Butoku Kai branch in Kochi as Oe was an accomplished kendo practitioner and teacher as well as the recognized authority on Tosa Iai. To further his education he also studied bojutsu under Itagaki Taisuke. Oe Masamichi received the menkyo kaiden from both the Tanimura-ha and the Shimomura-ha. Some documents list him as having been the 15th generation headmaster of the Shimomura-ha. However, there were other menkyo kaiden holders that also claimed the same appellation and as a consequence Oe renounced his position as a 15th generation headmaster of the Shimomura-ha. Rather than fuel the controversy over leadership he combined the teaching methods of the Tanimura Ha and Shimomura Ha he had received from Goto Magobei and Shimomura Moichi, two of his direct teachers and renamed the style Muso Jikiden Eishin Ryu. It was Oe Masamichi that first referred to the two separate lines as the Tanimura-Ha and the Shimomura-Ha. Prior to Oe they were both simply referred to as Tosa Eishin-Ryu with both branches claiming to be solely responsible for teaching the orthodox method. His named designation of the two branches has survived to the present day. Oe was recognized as an educator. He taught kendo at several local middle schools as well as the Chidokan dojo in Tosa. In 1900 he began teaching kendo and Eishin-ryu at the Kochi branch of the Dai Nippon Butoku Kai and at various local prefectural schools. In 1924 he became the second person (after Nakayama Hakudo) to be awarded Hanshi in iaido at the Dai Nippon Butoku Den. At the suggestion of the ministry of education and the Meiji government, Oe Hanshi rearranged the Eishin Ryu curriculum to preserve this tradition and disseminate it to a wider audience. This restructuring entailed categorizing the waza of Tosa Eishin Ryu by the heiho, or strategy that each represented and then reducing the number of waza from around 160 to a manageable number. He reorganized them into the Shoden, which was represented by the Omori Ryu waza, the Chuden, reflected in the Hasegawa Eishin Ryu kneeling techniques and Okuden which were assigned to the Hayashizaki Shinmei Muso Ryu standing techniques. The original kumitachi sets were maintained but with the addition of an additional set created by Oe. The new practice included a method of practicing all of the tatehiza no bu as a single form known as Hayanuki and added the Bangai no Bu, a set of waza outside of the curriculum. Although he retained many of the original techniques, he changed the names of some waza to aid in their understanding. His many students went on to spread Muso Jikiden Eishin-ryu iai beyond Tosa and throughout Japan. Oe taught throughout Kochi prefecture but also traveled extensively giving instruction in Osaka and Kyoto. Great innovations were made in training methods at this time. He educated many excellent swordsmen, many of whom had their own ideas about the techniques. Some developed their own kae-waza (alternatives) and shaped their own styles. Oe Masamichi, died in 1927, several of his students carried on the Eishin Ryu tradition of Tanimura-Ha. After his death it was questioned as to who would become the next headmaster, as Oe had left no clear designation of who should succeed him. This dispute has led to much confusion and variation in the practice of Muso Jikiden Eishin Ryu with several Ha or branches being formed. From the very beginning, the transmission of Hayashizaki’s batto-jutsu has used a system of indiscriminate transmission (???? ), allowing anyone in possession of full-transmission to award licenses to any number of his students. Therefore it is possible that there were multiple but unlisted holders of menkyo kaiden, known in Eishin Ryu as Kongen no Kan (???? ), in any generation. Due also in part to Oe Masamichi’s more open and inclusive approach to teaching Eishin Ryu, the lineages of groups currently practicing the art are fairly diverse and complex. Oe Masamichi Hanshi must have felt that it was very important to make such changes in order to preserve the core values and teachings of Eishin Ryu for future generations and not just to a select few, but to open up the study of Eishin Ryu for future generations. He taught many students and through his teachings some of his students became very accomplished and respected iaido-ka. These students are sometimes known or referred to as “Oe-Mon-ka” – meaning “under the family”, as a way of showing that these accomplished students were considered as part of Oe Hanshi’s family. There were many; Masaoka Kazumi, Hokiyama Namio, Mori Shigeki, Yamanouchi Toyotaka, Kono Hyakuren and Yamamoto Harusuke just to name a few. From these accomplished and talented students of Oe, several have been recognized as ju-hachi-dai, or 18th generation masters of Oe’s iai by various Japanese budo federations. 18th generation “master”, denotes that these individuals were recognized and respected by their reputation and ability to carry on the Eishin-Ryu tradition. This is how we see the continuation of Muso Jikiden Eishin-Ryu being carried forward through several direct current lines. Seventeen of Oe’s most influential students received the Kongen no Kan, scroll of transmission. Some of these students were also presented with menkyo kaiden although the exact number Oe awarded is unknown. Most Muso Jikiden Eishin-Ryu taught today traces its lineage back to one or more of these men. Oe Masmichi Hanshi’s tradition continued through one such line, as recognized by the Dai Nippon Butoku Kai, from Masaoka Kazumi, to Narise Sakahiro and currently to Miura Takeyuki. Masaoka Katsutane (Kazumi) was born in Kochi prefecture in 1896. His father was quite determined that he would become a medical doctor. To make this opportunity available to his son, Masaoka’s father moved to San Francisco for work that would better support his family’s financial needs in Kochi.When Masaoka Kazumi reached middle school his life would take a turn in a direction that no one could have imagined. He attended the Kochi-Ichu, one of two middle schools available to a young man of Masaoka’s family’s status. His dormitory roommate was a slightly older teenage boy named Mori Shigeki. Mori was Masaoka’s senior and attended the Kochi-Nichu, another middle school situated in a separate complex. Though the two shared the same dormitory they were being educated at separate facilities in Kochi. Both boys studied kendo after classses at their respective schools. The walk to school was always the same with Mori and Masaoka carrying their kendo gear and exchanging stories. It wasn’t long before Masaoka inquired about the nihonto (sword) that his friend and senior always seemed to carry with him. Mori responded by relating how his kendo teacher at the Kochi-nichu was also instructing him in the Tosa Iai. Masaoka pleaded with him to demonstrate what he had learned and Mori happily complied. No one had been teaching Iai at the Kochi-Ichu school of Masaoka, so he committed to memory anything he saw when Mori was practicing his drawing techniques. The Kochi-nichu eventually closed and both schools ultimately combined into one. Mori Shigeki’s teacher Oe Masamichi was asked to remain as the kendo instructor at the joint school. The Meiji restoration had already taken place and Oe Masamichi had been restructuring the curriculum of Muso Jikiden Eishin Ryu. Some of the components had been reformatted but others were still being practiced as they had before the haitorei. Masaoka studied kendo diligently under Oe for several months. When an opportunity presented itself, Masaoka requested to be allowed to study with the Iai students that met each day after kendo classes had dispersed. At the introductory class the great teacher of Tosa Iai performed a single waza for Masaoka and requested that he attempt to replicate his movements. Masaoka reenacted what he could remember from having watched his old roommate Mori. Oe Masamichi was astonished by what he saw. Mori’s technique was immediately recognizable and he promptly accepted Masaoka as his student. Four additional years at Kochi-ichu was accompanied by the same amount of time receiving instruction in Oe’s Iai. Although training only at the middle school did not satisfy Masaoka’s hunger for more instruction in Muso Jikiden Eishin Ryu. He began to supplement his training by attending classes that Oe taught at the Kochi Butokukai. Members of the dojo that he was able to train with included Nakanishi Iwaki and Takemura Shinzuo, two of the most senior members of the ryu. According to Masaoka’s accounts, at the time many in Tosa concluded that Nakanishi would one day be Oe’s successor. Masaoka acquired quite a reputation as a skilled kendo-ka. When the Dai Nihon Butoku Kai established a new direction for the Budo Senmon Gakko at the Butokuden, Oe requested that Masaoka move to Kyoto to attend and teach Gekken (kendo) at the great hall. In 1917, at the age of 21, he left Kochi and moved to Kyoto. The Busen was attended by those who had received high scholastic scores and showed great promise as instructors of Budo. When Masaoka graduated from the Busen he was asked to stay on and teach kendo and participate in the Kenkyusei, advanced research and training. In 1919, in the month of May during the first year of Kenkyusei, Oe Masamichi was invited to the Butokuden to demonstrate Tosa Iai. The sword arts program at the Busen included kendo kata but Iai-jutsu was not taught. Oe Masamichi’s performance of Tosa Iai stirred the audience that day and many of the students at the Busen prodded Masaoka to teach them what they had seen. It was a proud day for Oe’s student as he watched his teacher demonstrate Tosa Iai before a panel of the dignitaries and administrators of the Taisho government. The next few years brought about a deeper understanding of which direction Japanese budo was headed. It was here at the Busen Kenkyusei that Masaoka and his twenty classmates received instruction in Japanese archery, naginata and kambun (Chinese writing). During the breaks and holidays he continued to make frequent trips to train with his teacher in Kochi. Two years after Oe’s visit to the Butokuden, Masaoka was awarded the Renshi Shogo title in the arts of kendo and iaido by the Dai Nihon Butokukai. He was transferred to Kanazawa city to work as a teacher and transferred his Butokukai membership to the local branch in Ishikawa Prefecture. His duties there as a middle school teacher and budo instructor highlighted his reputation as man of high caliber and envious personality. His kendo team won the Japan national championship. In 1924, Oe Masamichi was awarded the Hanshi Shogo, the highest level of attainment issued by the Dai Nihon Butoku Kai and in that same year Master Oe bestowed upon Masaoka the Menkyo Kaiden of Muso Jikiden Eishin Ryu. Two years passed by and in 1926, Master Oe bestowed upon Masaoka the Kongen no Kan, the scroll representing the complete transmission of the Iai of Tosa. His reputation spread quickly and in Kanazawa the news reached another famous teacher of Budo. Members of the Ishikawa branch of the Butokukai also included the swordsman Nakayama Hakudo. When news arrived that a second Tosa iai teacher, especially one who had received the highest transmission from Oe, reached Hakudo, he was astonished. Nakayama Hakudo had also trained with Oe in Tosa, though he never received a menkyo from him. 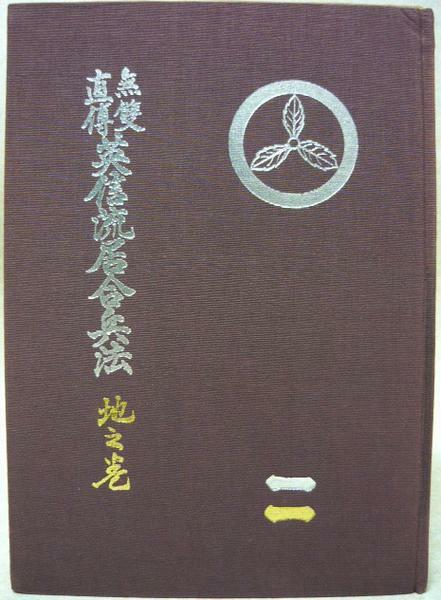 Nakayama’s menkyo certification had come from within the Shimomura-Ha. Kanazawa was a small city and to have two accomplished swordsman teaching and training within the Ishikawa Butokukai fostered great pride and friendship between the two men. Nakayama formally expressed his gratitude to the Budo Senmon Gakko for sending Masaoka to teach and share his knowledge. The Kendo taught in Kanazawa became well respected due to the teaching efforts of both Masaoka Kazumi and Nakayama Hakudo. 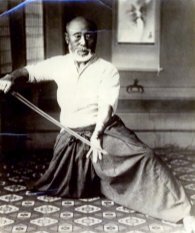 Oe Masamichi Hanshi, passed away in 1927. In the year of his teacher’s death the Butokukai granted Masaoka the Kyoshi Shogo in Iaido. Very few men with iaido Kyoshi existed at this time and Masaoka was humbled to be recognized. It was at this time that Masaoka and Nakayama grew closer as Masaoka respected Nakayama’s knowledge of the Shimomura Ha. The two discussed and Masaoka Kazumi looked up to his senior in age as he learned Nakayama Hakudo’s methods of swordsmanship. Nakayama was changing his approach to Tosa Iai as well. New political developments and Japans national war efforts were ramping up. This relationship between the two men, and their notoriety within the new administration did not sit well with some members of the old Chidokan dojo in Tosa. Other menkyo kaiden holders quickly responded to Oe’s death with their own claims of succession. The Ministry of Education and the Dai Nihon Butoku Kai set about recognizing all of their efforts in an attempt to unify the koryu schools under an umbrella of Japanese national sprit and maintain its old traditions. The world would endure two and a half decades of war and suffering in which the Japanese military machine would play a major role. No one was spared. The Japanese military recruited Nakayama Hakudo, Sasaburo Takano and others to create a set of kata and test cutting drills for their recruits at the Toyama military academy in Tokyo. These sets were an amalgamation of koryu and kendo exercises constructed to resemble standing versions of the older movements. Their purpose was to prepare Japanese soldiers for wielding the katana in close quarters combat. Fourteen years later other members of the Tosa Iai schools were also called upon to assist the Butokukai in creating sword training methods that could be taught to young military cadets as they prepared for war in the south pacific. In 1939, menkyo kaiden holders from Tosa were encouraged to institute a set of Iai and Batto techniques that could be taught at the Busen for the education of naval officers. Fukui Harumasa and Kono Hyakuren, Oe-Mon-Ka students from Tosa, assembled a set of ten techniques based on older Tosa Iai waza. This set of waza became known as the ‘Dai Nihon Batto-Ho’, the ‘Sword Drawing Methods of Greater Japan.’ Later the MJER menkyo kaiden holders formed an organization based in Osaka for the master level MJER practitioners of Oe’s decent. It was named the Dai Nihon Yaegaki-Kai and supported the efforts to share knowledge and widely disseminate Oe’s teachings. They established branch dojo throughout the kansai region, some of which continue to thrive even today. After the fall of the Japanese imperial forces at the end of WWII the Supreme Commander of Allied Powers (SCAP) directed all Japanese organizations that appeared to be military-related to be dissolved. Dai Nihon Butoku Kai voluntarily surrendered their charter and disbanded. The citizens of Japan were forced to reevaluate the role traditional bujutsu played in their development since the Meiji restoration. The SCAP directives were finally lifted in 1952. After WWII, Masaoka Kazumi had returned to Shikoku and became a farmer for a number of years. He returned to the iai community after the SCAP ban on budo was lifted, and then returned to Kanazawa to once again teach iai. Shortly thereafter sword studies were resumed in Japan. In the same year that the SCAP directives were lifted the Zen Nihon Kendo Renmei (All Japan Kendo Federation) was established. Two of the first members were Nakayama Hakudo and Masaoka Kazumi. In 1953 the Dai Nippon Butoku Kai was re-established with a new charter and new philosophical mission. Several other organizations began to form and in 1954 the Zen Nippon Iaido Renmei organized and appointed Kono Hyakuren as the General Director. The Zen Iaido Renmei sponsored the first Iaido Taikai in 1955 with demonstrations and performances by Fukui Harumasa and Nakayama Hakudo. It was attended by Sasamori Junzo, Ogawa Kinnosuke and Miyazaki Mosaburo, the latter two had been professors at the Busen. Masaoka Kazumi was appointed as Shinsa-In, head of all testing. One year later the All Japan Kendo Federation added an iaido division to their organization. Masaoka Kazumi was appointed the director due to his standing as a graduate of the Busen and his work in Kanazawa. The federation promoted Masaoka to the rank of 7th dan in kendo and awarded him the first iaido 8th dan, Hanshi in 1957. This was followed by his being awarded the 9th dan five years later in 1962 when he turned 66 years of age. Throughout his directorship Masaoka was adamant about maintaining the traditional methods of swordsmanship. As a director of the iaido branch of the Kendo Renmei he was concerned over the changes that were taking place within the iaido methods of the kendo practitioners. The movements were evolving into kata that resembled the Kendo no Kata. These were quite unlike the koryu techniques. At the urging of the board of directors, in 1967 a panel was formed to create a standardized set of iaido kata based on the older sword methods. Masaoka Hanshi was selected as the MJER representative in the creation of these forms. As a menkyo kaiden of Muso Jikiden Eishin Ryu he was committed to preserving its traditions and combat effective strategy. He wrote two manuals describing the methods and practices he had learned from Oe Masamichi. His first was titled, ‘Muso Jikiden Eishin Ryu Iaido Ten no Maki.’ It describes the fundamentals of Tosa Iai and the eleven Shoden waza of the Omori Ryu. The second manual ‘Muso Jikiden Eishin Ryu Iai Heiho Chi no Maki’ describes the entire curriculum of Tosa Eishin Ryu as he had learned it from Oe Masamichi. It was his belief that master level swordsman should be able to recognize fundamental principles and concepts common to all good sword methods. He formulated judging criteria for iaido based on the principles described in his books. Although Masaoka Kazumi never fulfilled his father wishes to become a doctor he was committed to his father ideals. Both of Masaoka’s children became the doctors at his urging. In 1973, Masaoka Sensei, finished teaching a children’s kendo class near his home in Kanazawa, removed his head gear and while still dressed in his bogu, passed away at the age 77. 20th Century, post war Japan brought about the revitalization of many of the kobudo or ancient martial arts. With the reestablishment of the Dai Nippon Butoku Kai, Zen Nihon Kendo Renmei and the Zen Nihon Iaido Renmei the traditional martial arts of Japan were reintroduced to the general public as a means of instilling a “New” Nihon Kokoro or Japanese spirit. The newly formed organizations brought together the headmasters of many ancient ryu to establish a new direction for the ancient martial traditions. The mission of the reestablished organizations was to maintain the ancient art forms while stressing the “Do,” the pursuit of self actualization, attained through the practice of Japanese sword arts. The “Iai-Do” seeds that had been planted centuries before had finally found fertile ground from which to grow and blossom. Iaijutsu or Battojutsu became an art form devoted to the improvement of society as a whole through the development of the individual. This quest for self improvement became the primary focus of most all of the post war martial traditions. The essence of the teachings began to focus on “Budo” rather than “Bujutsu,” during the latter half of the 20th Century. Hayashizaki Jinsuke’s sword methods had endured many controversial events throughout the centuries. The ryu had split into several factions and each espoused its own etymology. The lineage of the ryu was not without its controversy and by the 1950’s several practitioners were hailed as the “Rightful Heir” to the mantle of “Soshi,” overall headmaster. These claims aside, all the proponents of the school espoused the practice of Iaido and Batto-do as a form of self development. By following the examples of these great men who have preceded us, we inherit the wisdom, compassion and technical expertise to carry their vision forward as stewards for the next generation of men and women.